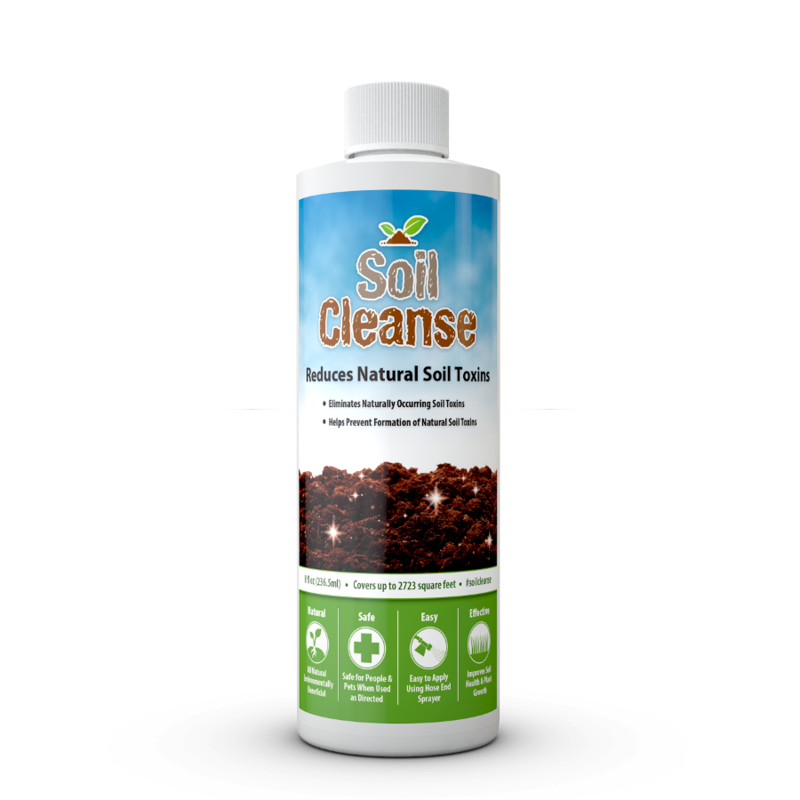 Start cleansing your soil today! 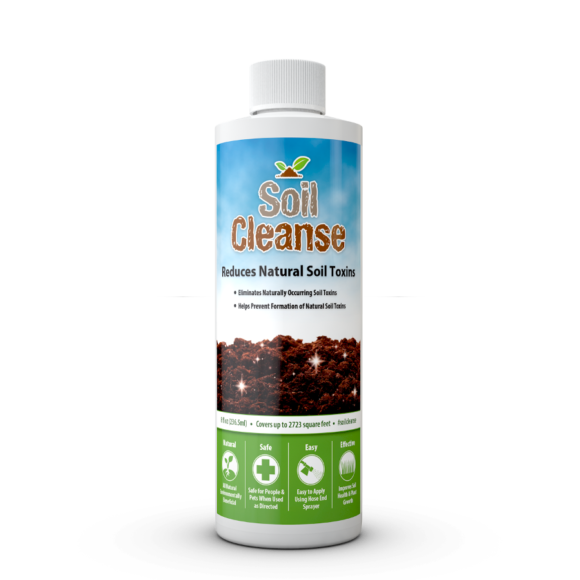 SoilCleanse™ naturally works to remove naturally occurring toxins from soil. It encourages biological activity that works to breakdown existing soil toxins in the soil and works to prevent formation of new toxins. The end result… cleaner soil for abundant health for your plants! 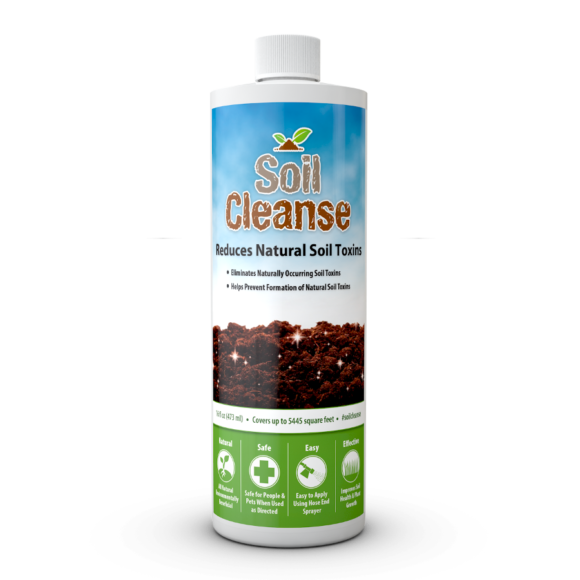 If you aren’t already using SoilCleanse give it a try today. 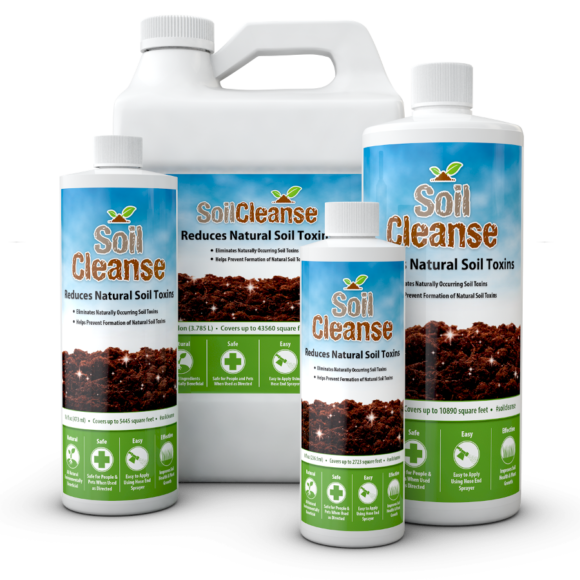 SoilCleanse™ works to eliminate naturally occurring soil toxins and helps to prevent soil toxins from forming. Natural toxins such as formaldehyde can form naturally in the soil as a result of decay by certain destructive soil organisms. 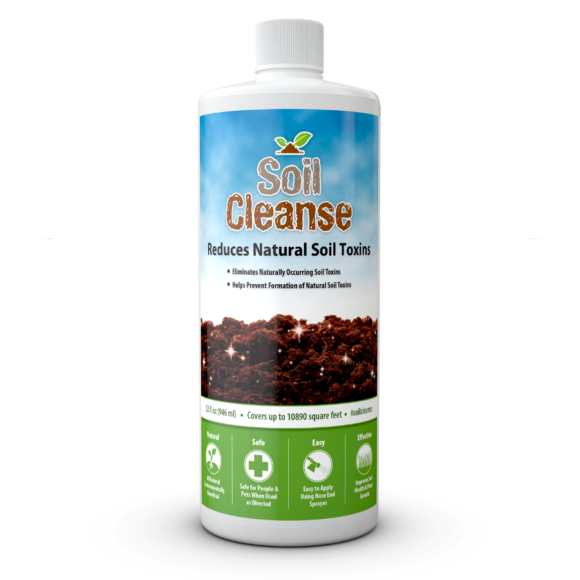 SoilCleanse™ works to break down soil toxins into their base components, many of which can be beneficial independently, and binds them to the soil. 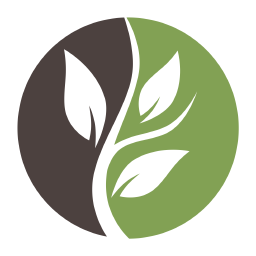 SoilCleanse™ improves the environment of the soil to increase the population of beneficial soil organisms so that destructive soil organisms cannot compete with beneficial ones so they can no longer produce toxins. SoilCleanse™ can help you achieve more abundant healthy plant growth by eliminating natural toxins from the soil. Each ounce covers up to approximately 340 square feet. Don’t worry about exact measurements. Several times the normal amount can be applied without any adverse effect. Apply 0.294oz (8.69 ml) of SoilCleanse™ per 100 square feet of application area once a year. 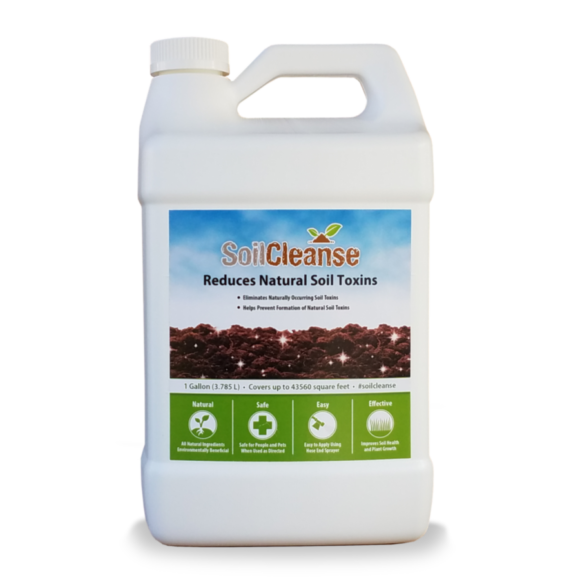 SoilCleanse™ is applied based on ounces per square feet not ounces per gallon. Set adjustable applicator to the 1 oz setting. Undiluted SoilCleanse™ can be stored for up to 60 months in a closed upright position near room temperature.